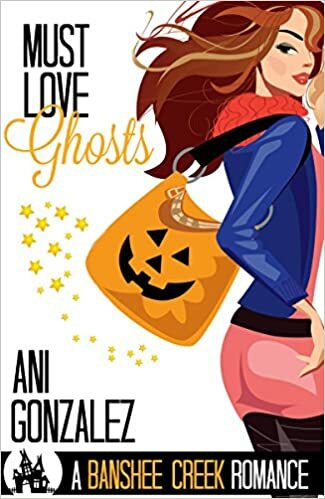 A fun, humorous romance...with ghosts! Abby Reed believes in faery tales, and ghosts, but she doesn’t believe in love. She lost her soulmate when her fiancé died while deployed in Afghanistan, but she still has her music, her crazy spectre-filled town, and her pen-pal-slash-best-friend, Mike Stone. It's a good life and she's happy, but when handsome Mike arrives in Banshee Creek after his last tour of duty in Afghanistan, Abby starts to have doubts, about music, ghosts and, most importantly...love. 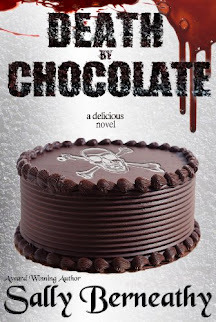 Like a good soldier, Mike Stone follows the rules, and Rule #1 is: Don't Fall For Your Buddy's Fiancée. His relationship with Abby has been strictly platonic, and will remain that way, if he has anything to say about it. But when he arrives in Banshee Creek, a town where the impossible is an everyday occurrence, he'll find out that sometimes rules are meant to be broken. A willowy girl was locking the door. She was tall and slender with medium-length brown hair, styled to curl at the ends in an old-fashioned way. Mike wasn’t looking at her hair though. He was looking at her costume, a skin-tight black leather cat suit that outlined every single curve. His fists clenched and he swallowed hard. He tried to walk towards the house, but his feet wouldn’t move. He couldn’t bring himself to approach her. He’d faced enemy fire, ambushes, and IEDs. He’d trained himself to overcome his fears. He’d walked through nightmares and survived. But he couldn’t bring himself to face this girl. Time to retreat and regroup. He’d continue on his way to Arlington and figure out a different way to make his delivery. Maybe he could hire a courier, or a parcel delivery service. A group of costumed partygoers blocked his way as he turned to walk away. He tried to push his way through what appeared to be a werewolf punk rock band, but had to swerve to avoid the fur-bedecked subwoofers. There was no fighting the siren appeal of that voice. He sighed in resignation and turned. The girl ran down the steps of her house and her smile was as enthralling as her voice. Mike forced himself to smile back as he greeted the girl he’d loved for the past five years. Abby Reed. Singer, songwriter, enchantress. And his dead friend’s fiancée.